Last week Magnetix Linked by Isobar, the leading digital, direct marketing and award winning agency in Denmark, hosted their biggest event yet in their ‘Morning Essentials’ series. The Imperial Cinema in Copenhagen was filled with over 350 of the brightest minds in the country. To date, the series has covered the areas of Machine Learning, and Experience Marketing, but this edition covered VR and AR in a breakfast briefing titled ‘Virtual Reality – Real Business’. 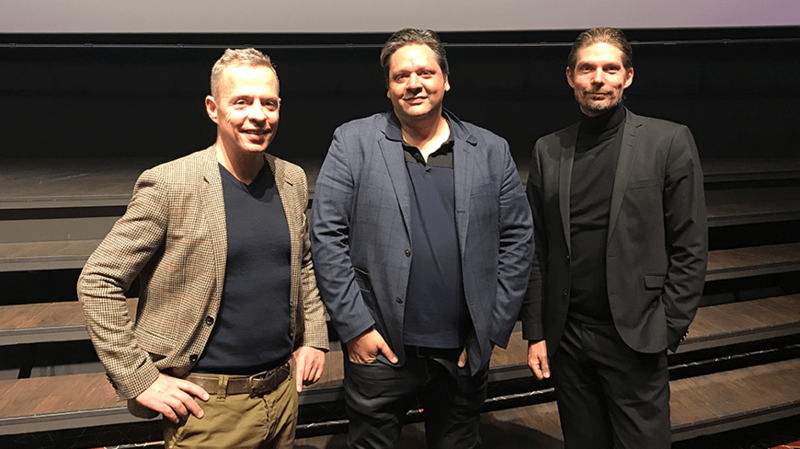 Isobar US VP, Dave Meeker was invited as the keynote speaker covering a key topic for 2017: ‘Virtual Reality - Measuring User Experience, Justifying Investments’. He shared the latest VR work happening around the world at Isobar, our take on innovation, and how we are helping companies figure out how to make sense of all the future technology that is starting to impact the world around us. Most recently Dave and his team have developed the world’s first Virtual Reality Emotional Measurement and Analytics Platform. In a research collaboration with the MIT Media Lab, we co-developed a way to capture and analyze behavioral data in virtual reality. With this foundational research, Isobar has since advanced this work to include integration with its proprietary MindSight® tool. This will further the understanding of the emotional response to content delivered in virtual, augmented, and mixed reality experiences and will be available to clients immediately. The tool was used in the development of an unforgettable immersive room scale VR experience for Wyndham, that transports guests to three vacation destinations, read about it here. Our Magnetix team also showed their latest innovations, including a 4D City Break Simulator for London, Rome, Paris and Barcelona for Spies (a local travel agency) and Virtual VVS - a campaign all about connecting pipes in a virtual bathroom and getting the job finished on time, for Brødrene Dahl (Denmark’s largest plumbing wholesaler). “Obviously the technology is emerging, but we have done some incredible experiences for our customers which have showed very promising results. With Isobar US and their lab we get a new dimension - analytics - which will help us demonstrate results. This is just another example of the value of being part of a global network” says Martin Bochineck, CEO at Magnetix Linked by Isobar. Watch this video for a glimpse into the event - and stay tuned to Magnetix on Facebook for news about the next event.